*Family Rate: Family of max 4, must live in same household. An enrollment fee of $20 for individual memberships and $50.00 for family memberships is assessed on the first month’s payment. We are offering USU Moab Ext. Students the Youth Rate. They will need to provide us with their student ID. Senior Rate: Must be over 55 years of age. 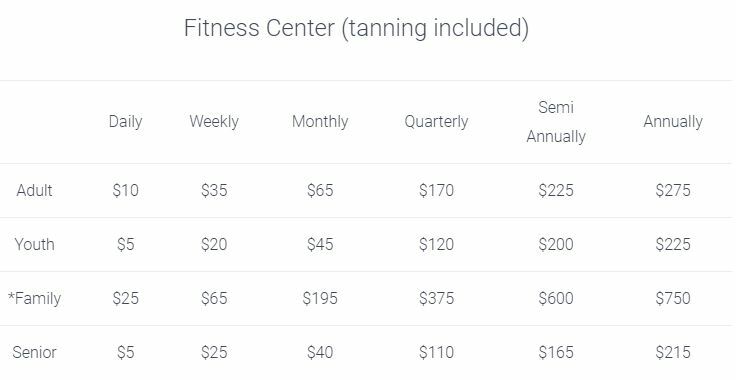 Each member is eligible for a free gym tour and introduction. Gym staff is eager and willing to show and teach you how to use the equipment safely and effectively to help you accomplish your fitness goals. It is the goal of the Club to provide a stress free and enjoyable environment for all members. Members and quests are required to behave in a well-mannered, non-aggressive and courteous way to other members, guests and staff. Failure to behave in this manner can result in membership suspension or termination. All members and their guests should dress appropriately while using the club facilities. Shoes and shirts are required at all times in the club. It is the goal of the Club to provide a stress free and enjoyable environment for all members. Members and quests are required to behave in a well-mannered, non-aggressive and courteous way to other members, guests and staff. Failure to behave in this manner can result in membership suspension or termination.All members and their guests should dress appropriately while using the club facilities. Shoes and shirts are required at all times in the club. Guests will be charged a guest fee. The same guest may only visit the club up to four times in one year. Guest must enter the club facilities with a member and be accompanied by the member while using the club facilities. Each guest must abide by the rules and regulations of the club and the sponsoring member is responsible for the action of the guest, including un-returned locker keys and towels. The guest must present his/her driver’s license (or a comparable picture ID) and complete the guest register with each visit. Present your Club membership card to the Front Desk for computer registration and verification of membership.